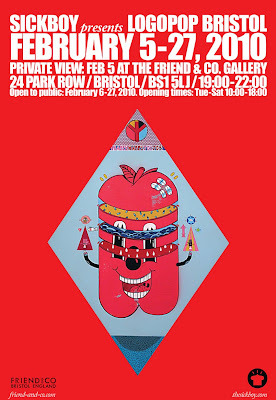 FRIEND AND CO.: SICKBOY LOGOPOP BRISTOL PREVIEW TMRW NIGHT! The SICKBOY LOGOPOP BRISTOL Preview is tomorrow night, Friend & Co. Gallery, 24 Park Row, Bristol, BS1 5LJ 7pm - 10pm. Lots of new work, prints & originals, prices start from £40... If you are in Bristol come down, it's going to be a good night! 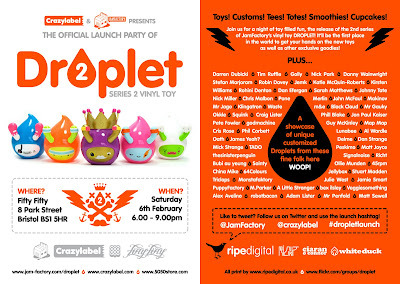 And then on Saturday night make your way down to Fifty Fifty for the DROPLET Launch Party! Don't ever complain there's nothing to do in Bristol!